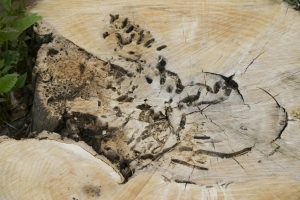 Do you have a pesticide for emerald ash borer as we are losing ash trees that are 15-80 years old? We’ve got a couple of options. 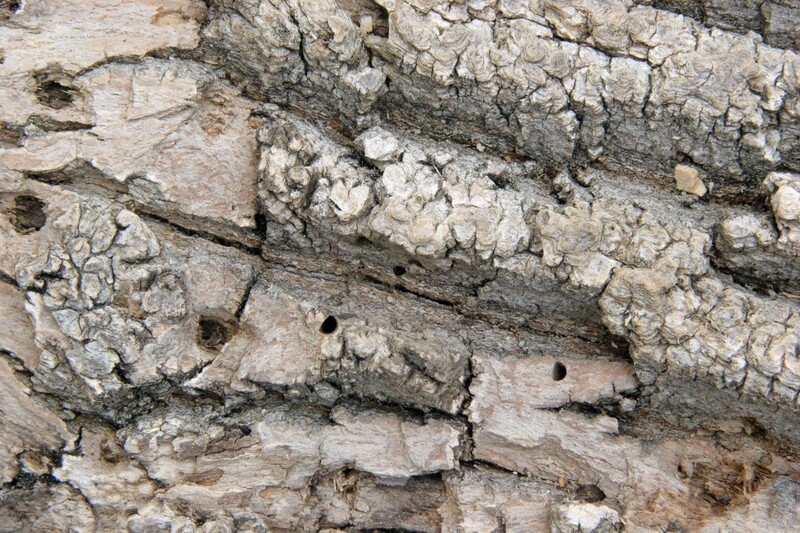 Since ash borers will penetrate deep into the tree, use a systemic like ADONIS. This product should be mixed with water and then used as a soil drench around the base of the tree inside the drip line. Adonis will take 3-6 weeks to be sucked up and distributed throughout the tree. Once distributed, it will kill anything feeding on it deep enough to ingest the active. 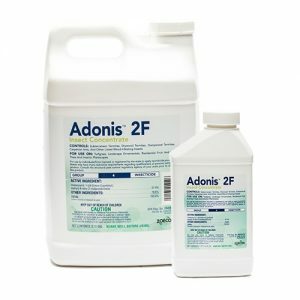 Mix 1 oz of Adonis in 3-4 gallons of water (a five gallon pail is well suited to make the mixture and treatment). Create holes around the tree using 5-10 holes for every pail you mix up. Holes can be made with a pick axe or metal stake like rebar. Slowly pour the mixture down into the holes making sure it goes down into the soil so it can be absorbed. Once applied, the treatment will be absorbed over a 1-2 month period (depending on the time of year when you treat). And once in place, the treatment will protect the tree from any kind of bark, trunk or foliage pests like emerald ash borers. 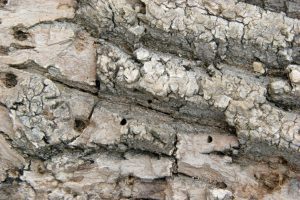 Holes and bark damage on the stump of a removed ash tree, which was damaged by the invasive insect, the emerald ash borer. Plan on treating once a year and though you should focus on infected trees, it would be wise to treat any tree you’d like to prevent from getting the problem too. 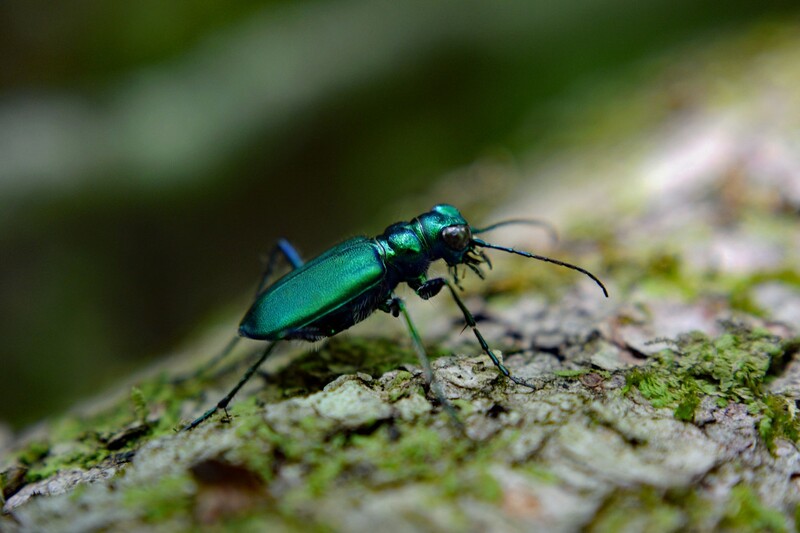 Since infected trees will be releasing special pheromones used to attract more borers, the affected tree will act as a “beacon” luring beetles from the immediate area to your yard. To keep them off your trees, spray the exterior bark with BIFEN XTS. As an oil based active, this product is both invasive and repelling by nature. 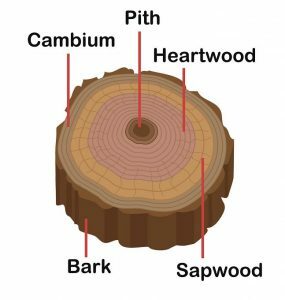 Once the bark absorbs the treatment, it will kill active beetles and keep new ones from wanting to land. Treat infected trees and any you want to protect using a mixture of .5 oz per gallon of water. 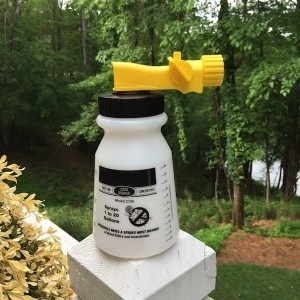 Use any standard PUMP SPRAYER to make the application and plan on using 1/2 to 1 gallon of mixed spray per tree. Reach as high as possible; 10-15 feet is the minimal height you need to reach. If you have a lot of trees to treat, consider using a good HOSE END SPRAYER. 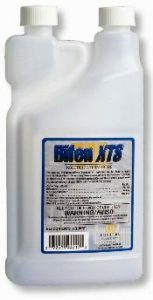 Using our sprayer, you’ll need to add 2.5 oz of Bifen XTS and then enough water to fill the spray tank up to the 5 gallon line. Next, hook the sprayer to your garden hose and spray out the contents. This mixture will provide 5 gallons of mixed solution; add 5 oz of concentrate and fill the sprayer to the 10 gallon line if you need 10 gallons of mixed solution. Damage to the bark of an ash tree killed by the Emerald Ash Borer. Includes two clear examples of the classic D-shaped exit hole. 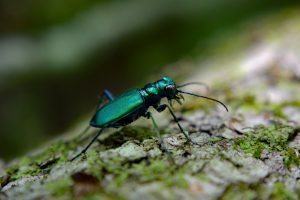 This beetle is killing millions of ash trees in Michigan, Ohio, Indiana, Ontario and other regions. Lastly, if you have a lot of holes in the trunk, inject CYKICK AEROSOL to ensure you reach the feeding borers not deep enough to be affected by the Adonis but deep enough to avoid the Bifen XTS. 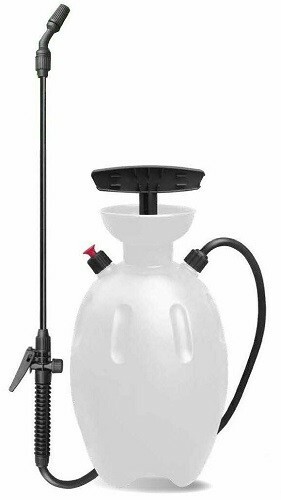 Cykick is odorless and comes with an injection straw so you direct the spray into the holes where it will move laterally between the ask exterior bark and the cambium. Borers may spend their time in the sapwood or cambium in the trunk so they can be hard to reach. But Cy-Kick will penetrate throughout the hole reaching developing larvae and killing them on contact.